Two years ago—before his life took a head-spinning turn—Fernando Orozco was a 19-year-old juvenile offender in the Cook County Sheriff’s detention center. Recently, he completed work as a grower and crew leader on the Kraft Food campus in Northfield, Illinois, as part of a 13-week stint in Windy City Harvest Corps, an educational and transitional jobs program run by the Chicago Botanic Garden. “I never thought I’d have a job like this where I have my own site and, not only that, the responsibility of caring for a crew of other guys,” Orozco said, on a break from work last summer in the 8,000-square-foot Kraft Makers Garden. His crew included young men, ages 17 to 21, in the Illinois Department of Juvenile Justice system. The team grew enough tomatoes, peppers, lettuce, and other produce to fill 55 boxes a week for the U.S. Department of Agriculture’s Women, Infants, and Children (WIC) supplemental nutrition program. 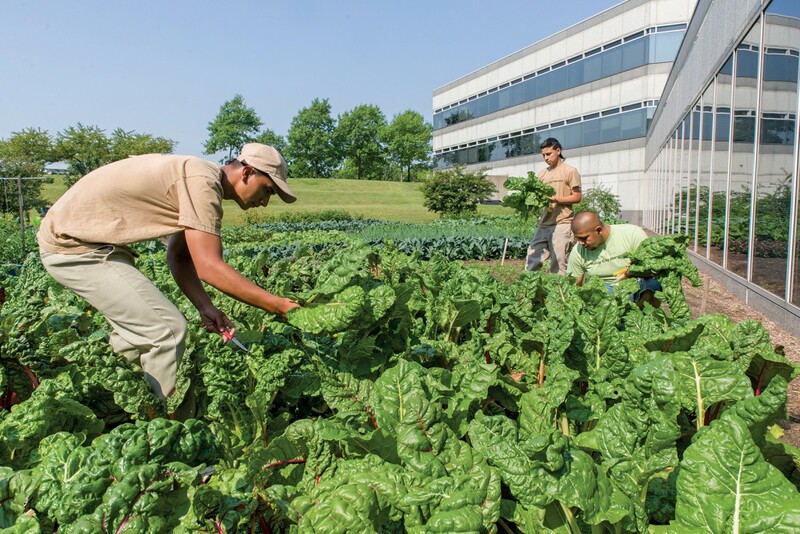 Other crops included cherries, beets, swiss chard, and watermelon, made pretty with plantings of scarlet runner beans and firecracker flowers, all grown in full view of Kraft employees as they worked out in the company gym. Produce from the site is donated to WIC centers and food pantries in the networks of the Greater Chicago Food Depository. 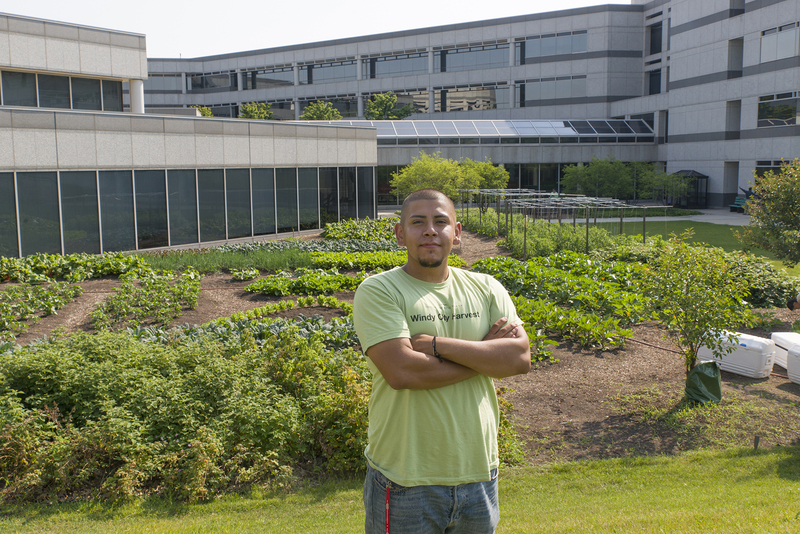 Orozco became interested in farming at the sheriff’s detention center, where he learned basic growing and organic practices in a program run by Windy City Harvest, the Chicago Botanic Garden’s urban agriculture education and jobs-training initiative. He went on to complete the nine-month Windy City Harvest Apprenticeship program, earned a certificate in safe and sustainable urban agriculture, and interned at locations including chef Rick Bayless’s home garden in Chicago. Using organic methods and operating on eight acres at a dozen locations throughout Chicago and Lake County, Windy City Harvest students annually grow about 100,000 pounds of fruits and vegetables, serving an estimated 143,000 people. This post was adapted from an article by Helen K. Marshall that appeared in the winter 2014 edition of Keep Growing, the member magazine of the Chicago Botanic Garden. It’s amazing what kids can do when given an opportunity like this. I was born and raised in Chicago and know the streets very well. You can easily be sucked into the evils of the underground. Luckily for these kids there are caring people who can take on the challenge and turn their lives around. Guidance, caring, and education are the key to success.